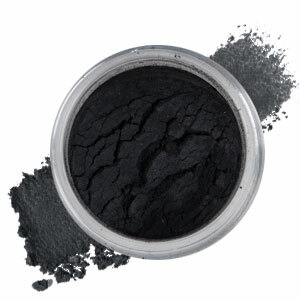 Matte Black fantastic for ‘smokey eyes’ to add to day makeup to take you through to night and wet to use as an eyeliner. Directions: Tip your closed pot up side down and tap to release some colour. Gently open your sifter. 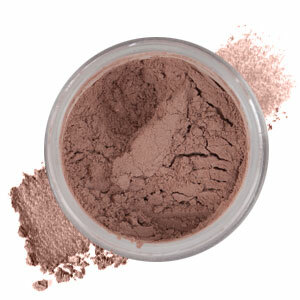 Dip a flat ended brush into your eyeshadow, tap against your wrist to remove excess and apply to eyelids. Remember these are highly pigmented and a little goes a long way. 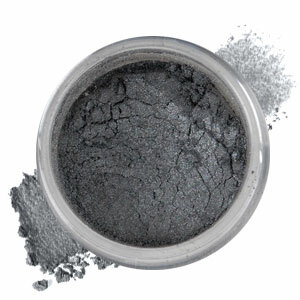 For more dramatic looks wet your brush and mix a little pigment in the lid adding extra drops of water to create a paste, then apply as shadow, eyeliner even on your lips! Like all Smitten products this too is multitalented you can use as lipstick or mix with your favourite Smitten Lip Paint for your very own custom-made colour. 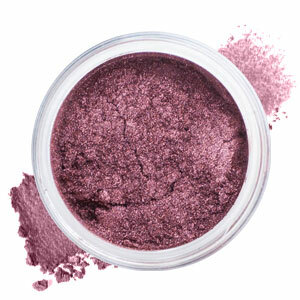 These highly pigmented beautiful pure mineral eyeshadows are available in 8 classic colours. 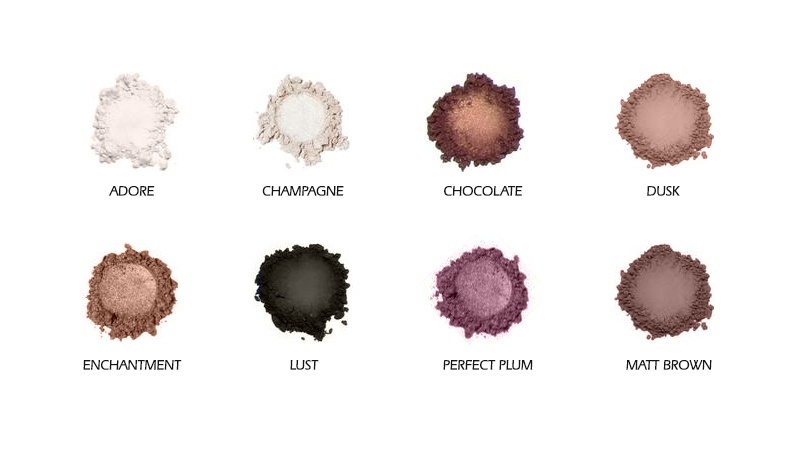 The rich, velvety stay-true shades come in a variety of matte and metallic finishes for a dynamic variety of makeup looks.